We fathers and mothers learn early on, in our roles as parents, that “Because I said so” isn’t usually enough to get a determined child to change course and listen. It’s the same thing your parents said to you, that you swore you’d never say as a parent. At the same time, you do want your own children to know that you have authority over them, as a parent. Jesus’ Authority–“Because I Said So”? 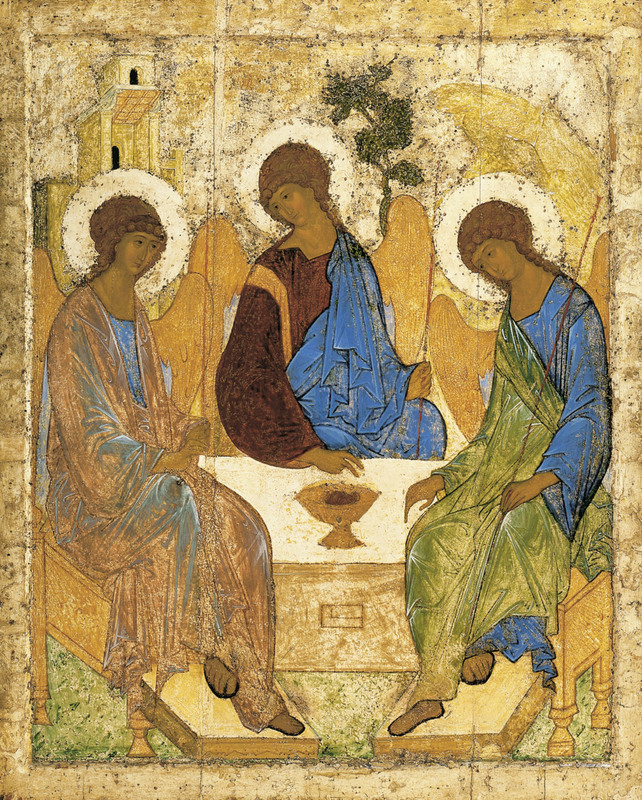 It’s fitting that on this Father’s Day, today in the liturgical church calendar is Trinity Sunday. The so-called Great Commission in Matthew 28 includes an appeal to baptize disciples in the three-fold name of the Trinity: Father, Son, and Holy Spirit. To be a disciple of Jesus is to enter into communion with a God who is one God, three persons. To be a disciple also means to learn Jesus’ teachings, and then pass them on to others to follow. 19 Therefore go and make disciples of all nations, baptizing them in the name of the Father and of the Son and of the Holy Spirit, 20 and teaching them to obey everything I have commanded you. As many times as I’ve heard this passage, growing up in the church, I was especially struck this time around by the single word, “Therefore.” “Therefore” is a word that points ahead to what’s next in the sentence, but it also points back to something. X is true. Therefore, Y and Z. Therefore, Jesus says, “go and make disciples.” On what basis is Jesus calling his disciples to go make more disciples, to essentially replicate themselves? 18 Then Jesus came to them and said, “All authority in heaven and on earth has been given to me. 19 Therefore go…. It would be easy to read this as the sort of move that fathers and mothers make when we want to try to ensure that we’re going to be obeyed. 17 When they saw him, they worshiped him; but some doubted. What’s especially disheartening about this is the fact that the sum total of disciples who are with Jesus for this important commissioning is… 11. Judas has committed suicide at this point, so they’re down a guy… they’re short-handed. And then, how many doubted? 2? 3? 5? Some of you grew up in an era in which our country was experiencing an allergic reaction to authority. Some of you, no matter when you were born, may recoil a bit at the very use of the word “authority,” especially when it shows up in a relational context. I wonder, too, especially about those doubting disciples–usually for those who are doubting, second-guessing, wondering, calling into question… usually for somebody like that, an appeal to authority goes nowhere fast. I’m not convinced that’s what Jesus is doing here. His disciples were spiritually dim-witted at times, like we can be, but I’m not so sure he’s appealing to his authority just so that they will listen to him. See–Jesus knows he’s about to give the disciples a tall order. He knows before he commissions the disciples, that even two thousand years later, some Christians will have a hard time with the “d”-word: discipleship. Or the “e”-word: evangelism. Jesus has doubters in his midst, among the 11. And he’s supposed to start a worldwide missionary movement out of them! That is the point, or close to it. The very fact that the task is utterly impossible throws the disciples completely onto the mercy and strength of God. The work of the church cannot be taken up unless it is true that “all authority” does not belong to the church or its resources but comes from God’s wild investment of God in Jesus the Son and the willingness of the Son to be present always to the church in the Spirit. Jesus’ mention of his authority isn’t a power play–it’s an encouragement, a life-giving reminder, a move that enables his disciples to go. But Jesus was no dying king. Or, at least, he was a dying king who didn’t stay dead. He is the Risen King! If Jesus has power over death, he has power over all of life. And if he has power over all of life, he has power and influence over all who are living. And if he has power and influence over all who are living, there is nowhere his disciples can go that he has not already been. There is no heart that God cannot soften. There is no human being that is beyond the reach of God’s saving love in Jesus. Because of Jesus’ authority, his power, his rule… disciples who are commissioned to draw others into the life of faith do not have to be scared to do it. 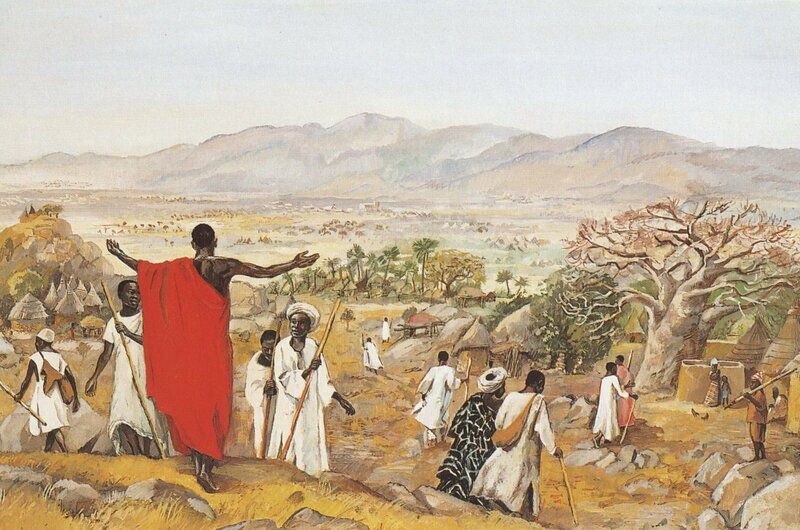 Jesus empowers his followers, by his authority, to fulfill the Great Commission. This is an upgrade. Jesus was not actually “with” the disciples “always” before he said this. He often went off by himself to pray. He didn’t engage everyone who wanted his attention. He wasn’t with the disciples always. But now, there is this new promise, a promise we saw fulfilled in our Acts passage last week, when the Holy Spirit came at Pentecost. Through the power of the Holy Spirit, Jesus is present with us always, and will be present always with his disciples until the end of time. All authority is his, and he is always with us. Therefore, we can preach. Jesus empowers us, by his authority and his presence, to fulfill the Great Commission. Through the presence of the Holy Spirit, Jesus goes ahead of us. God works on hearts before it even occurs to us to reach out to another. If we want to use the language of “witnessing” to others about our faith, that’s fine, but only if we remember that we are really the second witness. The Holy Spirit is the first witness, preceding us everywhere, making it possible for us to witness to the goodness of God in our own lives. We can call to mind again the idea of evangelism and disciple-making as “one beggar telling another beggar where to find bread.” We ourselves are not the bread, but we know where the bread is found. Jesus empowers us, by his authority and his presence, to fulfill the Great Commission. He equips us to do what he calls us to. And we don’t have to be “great” to go out in faith to try to build a kingdom of disciples for Jesus. “You’re a truly great man,” the guy said. Great or not, courageous or not, fully comfortable with what this passage calls us to or not–we have a great message. And Jesus empowers us, by his authority and his presence, to deliver it, near and far. Because he said so–because he ultimately has authority over every living person, because he goes before us, we can go and witness to our God. It would be daunting to share the good news of God’s love with others if we had no backup, if we were cutting a new trail. But Jesus promises to go ahead of us and walk beside us, always. The above is adapted from the sermon I preached on Matthew 28:16-20 today. Scripture quotations above are 1984 NIV. The second image in this post is used and covered under the Creative Commons Attribution Noncommercial ShareAlike 3.0 License.